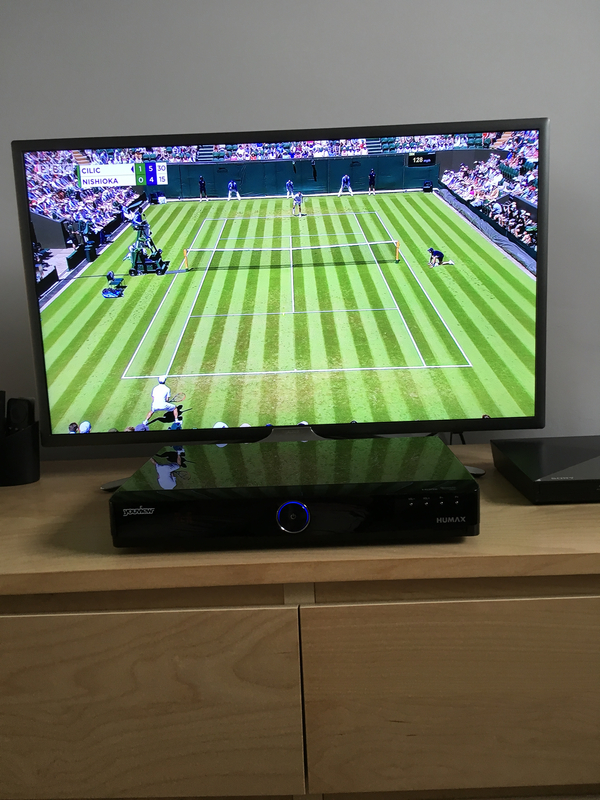 Some users may find that they are unable to receive the BBC Red Button channels for Wimbledon which starts today. If you cannot receive the extra RB channels added in for Wimbledon, please do a retune and this will resolve the issue. The high atmospheric pressure is not as prevalent for the next few days so it should be fine to do a retune without it affecting your other channels. Check here for the tropospheric maps which show high pressure. If you have a reasonable broadband speed and have either unlimited or sufficient inclusive broadband allowance then consider that the BBC does offer extra coverage via the connected red button on the main BBC channels and via the BBC Iplayer and BBC Sport apps available on the Youview boxes. Personally I have been using the BBC Sport App this morning as it offers most if not all court coverage and you can watch either live or from the beginning of the transmission. The quality can be better than the SD quality of Freeview extra channels. I believe there remains one peculiarity with the BBC red button that if you activate it from say channel 601 BBC RB1 you do not get the full BBC connected red button but rather the older more basic restricted choicethan the main BBC 1/2 channels.